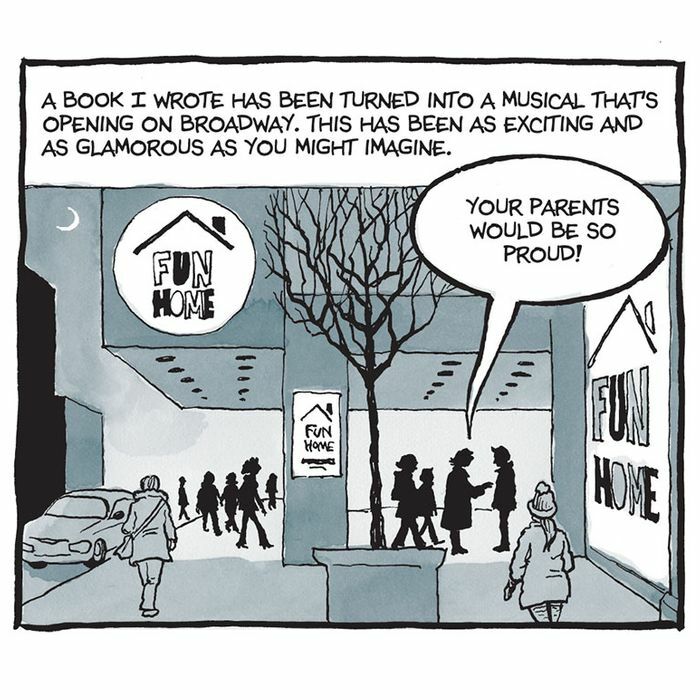 Last year, Alison Bechdel’s comic-book memoir Fun Home became an extraordinarily moving musical at the Public. To mark its transfer uptown to Circle in the Square (where it opens on April 19), we asked Bechdel about seeing herself, her parents, and their difficult relationship portrayed on a Broadway stage. Here’s how she responded.